If you sell products, have you considered using UPC labels? With millions of products in the world, UPC barcodes help identify your products among the masses. What is a UPC code? Each UPC (short for Universal Product Code) code is a unique series of numbers and stripes specific to one product. These codes help identify and track products. While UPC barcodes might seem unnecessary or too confusing, it’s not as overwhelming as you think. As your business grows, good inventory management is critical. How do you know if UPC labels are a good idea for your products or business? Let’s debunk six surprising UPC label myths. Pick up any product and you’ll see a UPC barcode somewhere on the package or container. They appear identical to codes on other products, but each code is unique. 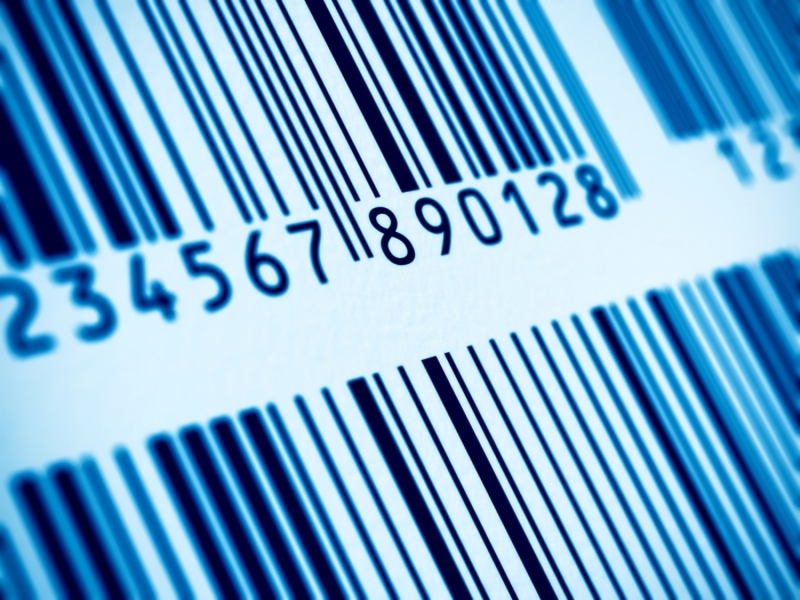 UPC barcodes are standardized for tracking products. Because there are standards when producing a unique code, it’s not difficult to create a code for your product. But there are a few steps to follow when creating a code. The process starts by applying for a GS1 Company Prefix. You’ll only do this once. It is unique to your company and is part of every barcode for your products. After you have your code, you’ll assign a unique product number to each product. Next, decide what type of barcode is best for your product. These code types are standard. Use an online tool to help you decide what works best. With codes in hand, you’re ready to print labels. On the contrary, using UPC labels saves money in several ways. You’ll save time (and employee hours) using an inventory management system based on UPC barcodes. Easily search for the products your customers need. Avoid overstocking products. You’ll also reduce the opportunity of theft. When products are properly marked and tracked, they are less appealing to thieves. While the initial investment in equipment is an expense, UPC barcode printers and scanners are affordable. Invest in the equipment to save money over time. Myth 3: I Don’t Sell Through Major Retailers . . .
. . . so I don’t need codes. Even if you don’t sell to major retailers, your products compete with their products. Aside from the benefits of tracking products with UPC barcodes, keeping up with the “big boys” using codes helps your products look “legit”. You also want to run your local store in a professional way. UPC barcode labels also help you handle customers efficiently at checkout. Scanning a code vs. handwriting an invoice is faster and is more accurate. Myth 4: I only Sell Online . . . Even if only selling online, add a code to your product. Again, a code helps you track inventory specific for online sales. Design your code specific to online use when you create the code. When you create your GS1 registered code, you’ll have the option of creating a code designed for online products. Having a UPC code on your online products helps consumers easily find (and share) your products. Many third-party UPC barcode retailers sell pre-produced codes. It’s tempting to save the time and hassle of creating your own codes. Third-party barcode retailers often sell labels at a discount vs. ordering codes assigned through the GS1 registry. You also have no way of knowing if third-party codes are unique. Remember, part of your UPC codes is your company prefix. Third-party codes don’t include your unique company prefix. While third-party codes might accurately identify the product (if similar products exist), the code won’t link to your company. Protect yourself and your products by creating your own codes through the GS1 registry. Not all codes are the same. Using different types of codes does not replace the function of UPC barcodes. QR codes (short for Quick Response codes) store information for consumers. Use a cell phone to scan a QR code and you’ll land on a website with information about a product, a sale, or a promotion. ISBN (International Standard Book Number) Codes are specific to books, CDs, software, and videos. UPC barcodes contain information for tracking products for retailers–not for consumers, like the QR code. Although consumers can search for your products using your UPC barcodes, the primary function of UPC codes is for retailers. Use a QR code to add value to your product for the consumer in addition to the UPC barcode for tracking your products. After you’ve generated your UPC barcode, you’re ready to print and scan your UPC label. Know which type of label works best for your product. You need a clean, precise image on your label for accurate scanning. And the label needs to stay on your product without coming off or fading. A great option for the best UPC labels is thermal printing. Thermal labels do not use ink. Thermal printers don’t use toner cartridges or ink ribbons, making this is a cost-effective way to print labels. Labels print quickly using thermal printing. And printers need less maintenance than traditional printers. These labels are ideal for UPC barcodes. The image is clear and won’t smear. Printed labels are of no use if you can’t scan them. Choose the right scanner for your needs. Scanners are wireless (connecting through wi-fi or Bluetooth). Or choose one that connects to your computer through USB. Be sure you choose a durable scanner that holds up when dropped or bumped. We know barcodes and printing is intimidating at first. There are a lot of factors to consider. Properly marking and tracking inventory is critical to running a successful business. Let us know how we can help! We handle everything from continuing education to equipment maintenance and repair. Our priority is your business success.